At the mention of Paris, thoughts of romantic candle-lit dinners, pavement cafes, art and fashion, the Eiffel Tower and Lourdes float through the mind. The French capital is one of the most sought after travel destinations in the world bringing in visitors from every corner of the globe who often find great deals on flights to Paris. A captivating city that will leave you enchanted if not bewitched. Drool with the aroma of freshly baked breads, croissants and delicious sweet things from a choice of bakeries, have a picnic and simply laze in one of Paris’ beautiful parks. Stop at a classic Parisian cafe, where famous artists and writers found inspiration and indulge in an espresso, cappuccino or smooth glass of French wine. Take a day to meander through departmental stores, markets and boutiques while making notes of where and what sales are on before you go out on your French spending spree. We are scanning millions of flights to Paris annually to find you the best deals. 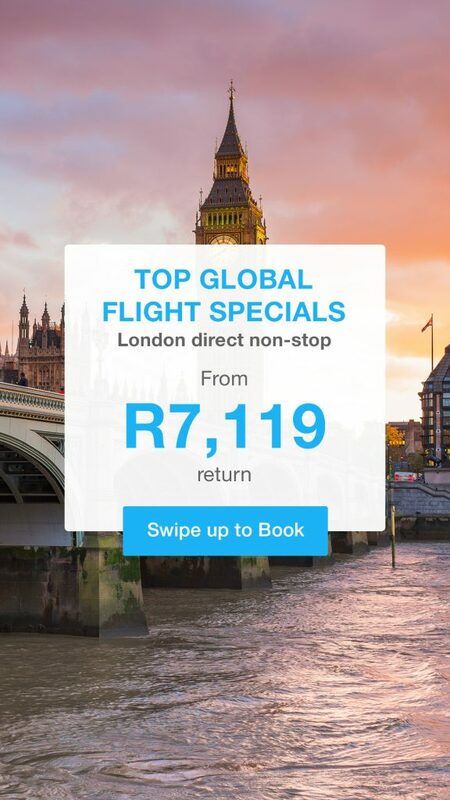 Some of the cheapest flights to Paris can be seen in the table below such as Cape Town to Paris from as little as R4385 on Emirates Airlines. The best time to be in Paris is during summer, but for somewhat lower prices, spring is just as good. For the cheapest flights to Paris for air travel and accommodation the best time to fly to Paris is during the low season between late December and late March. Paris in spring, from March to June, the city reawakens, coming to life with nature budding new shoots, flowers blossoming, days becoming longer and Parisians having a little extra bounce in their step as they happily return to their favourite river bank, park or garden pastimes. Spring is Paris’ other shoulder season besides fall with temperatures slowly climbing from 12°C in March to 16°C in April and a pleasurable 20°C during May, with afternoon showers. Hotel and room accommodation is slightly less over this period for visitors attending the ‘International Marathon of Paris’ during April or the French Open Tennis Championship in May. Summertime in Paris, its high season from June to August, fills the city with an energised atmosphere. Visitors and Parisians alike are out making the most of free concerts and films, strolls through lush colourful parks and gardens, picnicking or indulging in delicious ice-cream and frequenting café terraces. Attractions are the Fete de St-Denis and Fete de la Musique during June while July hosts the Tour de France and Bastille Day. Towards the end of June average temperatures are 23°C, peaking in July at 25°C and dropping slightly to 24°C in August. Being the busiest period, accommodation prices are at their highest and Paris is filled with people. Autumn, shoulder season from late September to late December, is in the parks and avenues of Paris, a rousing sight with carpets of colours from leaves fallen and a renewal of culture with festivals and trade fairs beckoning crowds. Late November draws window shoppers to glittering displays of Christmas decorations and thoughts for gifts. September’s average temperatures of 21°C slowly wind down, as the days shorten, to around 16°C in October with December at an average high of 10°C. Visitors that attend the Fete d’Automme or the ‘International Ready-to-Wear Fashion Shows’ benefit from hotels lowering their tariffs from late September. This may be the low season, from late December to late March, but for many it’s still a romantic time to be in Paris. Travellers benefit the most as hotel and air travel rates are the lowest. Dressed in boots with coats, gloves and scarves, they brave the cold to view skaters in awe gliding effortlessly in elegance around open-air ice rinks or walk down main avenues and through markets still with colourful remnants of Christmas while restaurants and cafés are invitingly warm and cosy, ideal to meet a friend for a tete-a-tete. Average temperatures during this season are between 6 to 7°C. Many people love walking or cycling around Paris wanting to experience it at their own pace. Bikes can be rented and are available at various train stations. If you want to cycle around the countryside, take a map with bike routes and rent your bike at your destination, rather than in the city. Big on cycling, the ‘City of Paris’ manages the Vélib bicycle rental program that uses three-speed unisex bikes that can be picked up at ‘service points’ or stations spread across the city. You can conveniently collect a bike at any Vélib station and drop it off at any other station. A 1-day ticket will cost you 1€ while a 7-day ticket is 5€ and allows you an unlimited number of journeys for the duration of your entire subscription with the first 30 minutes of each journey being free. You’ll need to purchase these tickets with a credit card that must be accepted by their system. It’s not advisable to drive your car in Paris unless you enjoy being strung-out, you’re better off leaving it on the outskirts of the city. Driving in Paris for the first-timer is a nightmare and parking is even worse, unless you park in an underground area in close proximity to where you’re staying. If you have your car and want to park it on the street you’ll need to get a Paris Carte as the metres do not accept coins, but long-term, it’s not an economical option. Renting a vehicle is normally for a minimum of three days so if you plan for trips outside Paris, you’d benefit with one long trip including a few overnight stays. Equalling New York and London, the Paris Metro one of the best and oldest systems in the world with almost 300 kilometres of track and around 300 stations enabling you to get within a block or two of where you need to be. Running from 5 a.m. until 12.30 a.m. tickets can be purchased from a ticket booth at the station and visitors have the option of getting 1 to 5-day Le Paris Viste tickets making travel that much easier and more cost effective. If staying in Paris for a few weeks or a month and longer, a weekly or monthly Carte Orange’ticket can be bought entitling unlimited travel via train or bus but don’t lose your ticket as that will incur an additional expense. Colour coded Metro maps are easy to understand and available at stations. Convenient for visitors wanting to travel outside the city, the RER Train has four lines and is more a suburban line although it does have several stops in central Paris which your ‘Metro’ ticket can be used for. Travel outside the city requires the purchase of a separate RER ticket. Paris has an outstanding bus system with most buses running from 6.30 a.m. until 8.30 p.m. but only a few running until 12.30 a.m. Tickets can be bought on the bus or at the stations and you need to keep and not lose your ticket in case an ‘inspector’ gets on the bus to check tickets. Visitors can utilise their Carte Orange and Le Paris Viste tickets and get bus maps at metro stations. Alternatively hop on a Paris L’Open Tour Bus, sit inside or on top viewing all the sights over four tour routes and with over 50 stops. 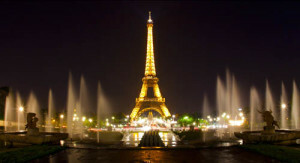 While you enjoy the ride, learn more about the history, fashion, shopping and romance of Paris. Hailing down a taxi in Paris should’ve be a concern with virtually 15,000 taxis operating and taxi stands all over the city. Don’t try and hail down a taxi with a ‘dim’ light, it’s occupied, when the light is bright then it’s available. Fairly affordable they are convenient for getting home after a late night or when your feet are really sore after walking the whole day. The drivers are normally friendly and made up of many nationalities. An alternative to hailing down a taxi, with personalised service and offering more luxury is the 2CV option in a Citroën 2CV, that affords passengers panoramic views as you sit back relaxed and in comfort while being driven by a well-mannered and very knowledgeable chauffeur. Another choice is the Tuk Tuk, a three-wheeled vehicle that provides numerous tours around Paris including visiting Oriental, African and Indian neighbourhoods with a meal in one of their traditional restaurants. Tourists can take pleasure in a boat trip with The Batobus to see the sights of the Louvre, Musée d’Orsay, the Eiffel Tower and others. The boat travels up and down the Seine with eight stops. Paris has two primary airports, Orly (ORY) and Roissy-Charles-de-Gaulle (CDG) with international flights to Paris arrivals mainly at CDG and ORY accommodating low-cost or flights from other European or French cities. Getting from Roissy-Charles-de-Gaulle International Airport to Paris is a breeze with public transport available by train, bus, taxi, and shuttle or car rental. Public systems are RER regional trains, RoissyBus and Noctilien night buses and are the least expensive options. It’s worth buying a ‘Paris Metro Pass’ for 6 zones and taking the RER directly from terminals 1 or 2 that take around 40 minutes to reach central Paris. Be aware that you may need to carry your baggage up numerous flights of stairs when arriving at your station as elevators are limited to certain stations in Paris. The RoissyBus is available from 6 a.m. until 11 p.m. from terminals 1, 2 and 3 with no stops in between and tickets costing 10€ that can be bought on the bus from the driver. The ‘Air France Bus’ services all airlines, leaves from all terminals and depending on the route, operates from 6 a.m. to 10.30 p.m. Taxis are available throughout terminal 1 and 2 with fares being between 40 to 50€ depending on your destination and take about 60 minutes to Paris. Car rental agencies are situated within terminals 1 and 2 but be aware of traffic congestion and limited parking in central Paris. ‘Orly Airport’ is connected with two RER lines and two buses. Catching the RER B gives you the opportunity to board the high tech automatic shuttle called Orlyval that children delight in when sitting in the front. Car and taxi hire is available with a taxi rate of around 35€. Save on your pocket and purchase a ‘Paris Museum Pass’ with free entry to 60 monuments and museums, visiting any one as often as you like. Included in the pass are the ‘Louvre’, ‘Notre Dame Cathedral’, Palace de Versailles’ and the ‘Pantheon’. After you’ve experienced the memorable ‘Tuileries’ or ‘Jardin du Luxembourg’, escape Paris for a while with a wonderful day trip to the beautiful gardens at ‘Versailles’, ‘Monet’s’ gardens at Giverny or the romantic ‘Buttes-Chaumont’ park tucked away in a northeast corner that affords all-embracing views of the entire city. Great for cyclists are ‘Daytime’, ‘Night-time’ and ‘Paris Electric’ bike tours offered by ‘City Discovery’. Honeymooners or anyone blissfully in love cannot miss a truly romantic tour in a Horse and Carriage with gorgeous interiors and blankets to keep you warm and snug in winter and a covered top, should it rain. You’ll visit the ‘Eiffel Tower’, ‘Pont Alexander III’, ‘Champs-Elysees’, ‘Trocadero’, ‘Champs de Mars’, the ‘Grand Palais’ and ‘Arc de Triomphe’ all in one hour! Looking for bargains, don’t fret. Try out the French version of a ‘yard sale’, ‘vide-freniers’, literally ‘emptying the attic’. Taking place over several blocks in various neighbourhoods they sell second hand clothing (direct from the merchant) or very used to virtually new. If you’re willing to bargain and dig deep you could leave with some brand names that have cost next to nothing! To find dates and times go online to ’75-Paris’ and choose your area. Be part of a swarm of eager shoppers in a summer or winter off-season clothing sale where you can save up to 75%, taking place during January and July including sales on home furnishings, antiques, books and various other items. Paris is riddled with amazing Vintage Stores with a surplus of quality vintage items on sale. Try the ‘Chine Machine’ in Montmartre for reasonably priced funky women’s clothing or get to ‘Free’P’Star’ and buy a pair of jeans, shoes and shirts for 10 to 20€, belts and scarves between 1 and 3€ and there’s ‘Frip Sape’ for great 2nd hand goods including leather boots. Experience a cultural tradition with bargain shopping at a flea market. An outdoor market at Clingancourt/St Ouen comprises 14 markets that offer cheap imported goods, used clothing and antique items, a variety for anyone’s fancy.